The construction of the New Dock resulted in an increase in trade for Grimsby. It also provided a unique structure that has, for over 150 years, been a prominent symbol of the Port. 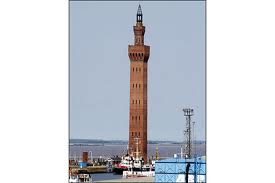 Originally intended to serve as a hydraulic tower and lighthouse, the Dock Tower only ever served the first purpose as there was concern that mariners would have confused the lights with those of Spurn. 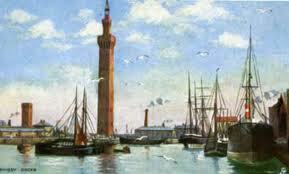 Work on building the Dock Tower was completed on 27th March 1852. Mr James William Wild designed the Dock Tower in the style of the Palazzo Pubblico in Siena, Italy which is also similar to the tower of Birmingham University. James Meadows Rendel was one of the century’s premier civil engineers and had already acquired fame for his mastery of hydraulic engineering. The technique and machinery used in Grimsby was perfected by Sir William Armstrong of Newcastle.